Move your inventory online to save time, eliminate errors and optimize inventory management procedures. Not only is it easy to set up but it's just as easy to use. Sign up for a free 15-day trial today! 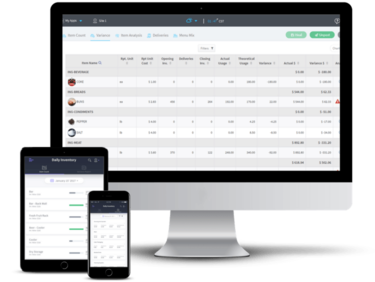 Zip Inventory is designed to function with the range of Hubworks restaurant management apps, most directly Zip Ordering. The end result is data sharing between both programs that is quicker and easier than ever before. 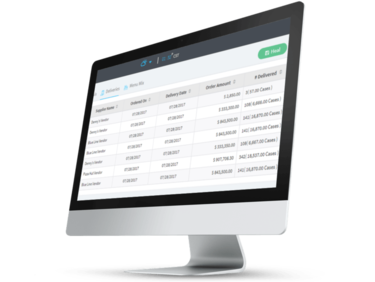 This integration allows for data recorded in Zip Inventory to be immediately transferred over to Zip Ordering. As such, placing orders is now far simpler and more efficient. Zip Inventory's Error Alert System provides a notification of things like an incorrect inventory count instantly, so there is no layover or accidental ordering based on incorrect data. Due to how instantaneous the notification of error goes out, you will be able to not only address the issue immediately, but also work to rectify it before an impact is made to your ordering or inventory count. Employees can access a section of the app entirely devoted to the storage of your restaurant's recipes, allowing them to see the ingredients for each menu item, in real-time. Staff members will be able to see at a glance if any changes to recipes need to be made. Beneficial to customers also, as employees will be able to provide the most accurate breakdown of a menu item's ingredients. Not only do you have access to a range of styles and formats for your product lists, but these lists adapt to best suit your needs and the needs of your restaurant. You can easily find entries for whichever product you're looking for thanks to the easy vital search function built in to Zip Inventory. Built-in alerts will notify you when the actual inventory count differs from the expected count of any given item. Develop a solution quickly and keep it from becoming an issue down the line. Reports generated within the app are available in two different files formats, CSV and PDF. This flexibility allows for reports to be shareable on a wide array of devices. 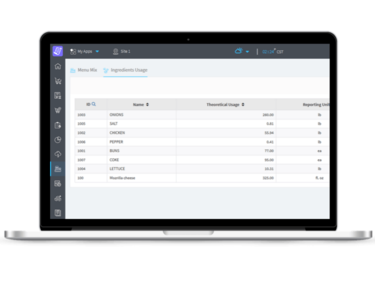 Thanks to connectivity between Zip Inventory and many suppliers, the app will automatically update the prices of items if they're changed by your supplier, meaning you will always have the most current costs available to you. Zip Inventory employs an extremely user-friendly, touch-based interface that allows for easy navigation and pleasant interaction by employees and administrators alike.